Seven-year-old Alexandra Ridgemont loves chocolate Yoo-Hoo drinks and the lobster tank at the supermarket in the small Indiana town where she lives with her archaeologist parents. The lobsters are the same bright red as her hair. But the lobsters are sad. They always beg her to let them out of the tank. Alex ignores them. At least until the day she meets Blue Eyes - a boy her age with sandy blond hair and stunning blue eyes who tells her she smells like lemons and becomes her first and only friend. Alex shares her Yoo-Hoo with Blue Eyes and enlists his help to set the lobsters free. So, upon reading the cover blurb for Made You Up, I was immediately intrigued. Here was an author who had written a novel in “first person crazy” well enough to land a contract with a traditional publisher. I had to read it. I have to admit, I was impressed. Ms. Zappia manages avoid the pitfalls of info dumping or bogging down her reader with the details of Alex's inner world. Alex’s hallucinations are woven into the fabric of the story until they seem almost commonplace. Items reviewed on The Muse Reviews may have been provided for free in exchange for an honest review. Please refer to the FTC Compliance Statement for details. For questions regarding which items have been provided free of charge, please use the Contact form. The other major character, Roger Lui – a drama club geek turned special agent, struck me as vapid and whiny. If only he hadn’t been gifted with vision better than a fighter pilot or with hyperthymesia – AKA a really good memory that allows him to recall every day of his life in perfect detail. Maybe then he could have been happy as an actor instead of getting snapped up after applying to the FBI. Cry me a river. Oh, wait…psych! He actually has a compelling reason for choosing a career in law enforcement, but that pesky little detail is also withheld until near the end of the book. Have I mentioned Ms. Kirk is fond of the unreliable narrator trope? His partner, Lola, is a stereotypical butch, complete with chewing tobacco and Old Spice cologne, desperately overcompensating for the crime of having breasts in a male-dominated career field. This walking cliche doesn’t just have a chip on her shoulder, she’s carrying the whole potato. Both characters are as flat as their descriptions suggest. Items described on The Muse Reviews may have been provided free of charge in exchange for an impartial review. Please refer to the Disclaimer for details. 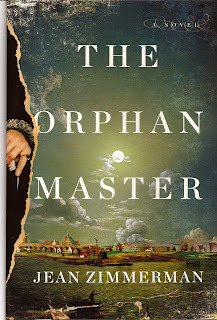 Historian Jean Zimmerman’s debut novel, The Orphanmaster , opens with two murders which take place on the same October day in 1663, thousands of miles apart. The first: one of the regicides responsible for the execution of Charles I of England who escaped to Switzerland after Charles II regained the throne. The second: an eight-year-old African-American orphan, Piddy Gullee, who lives on Manhattan Island in the Dutch colony of New Amsterdam. The two murders appear unconnected and this is where the myriad problems of this novel begin. In the first few chapters, the audience is introduced to The Orphanmaster’s principle cast: 22-year-old Blandine van Couvering, a “she-merchant” who hopes to make a name for herself by trading with the local Native Americans for valuable beaver pelts; her servant, a seven-foot-tall freed slave named Antony; Edward Drummund, a former English soldier turned spy whose job it is to locate the remaining regicides so they can be executed; Martyn Hendrickson, the debauched youngest son of New Amsterdam’s wealthiest family; and Aet (prounounced “eat”) Visser, the orphanmaster who, in addition to taking charge of the colony’s orphans and finding them foster homes, also imports orphaned children from Europe to work as indentured servants in the wealthy households of New Amsterdam. Slowly – and I do mean slowly, because the pacing of The Orphanmaster is closer to stereo instructions than a mystery novel – Ms. Zimmerman builds links between the disparate characters. Piddy Gullee and several other murdered orphans are connected to Aet Visser who is associated with Blandine, one of his former charges. Blandine is tied to the African community through Antony and through her friendships with two women, Mally and Lace, with whom she escaped after being captured by raiding natives. Since the local sheriff can’t be bothered to investigate a few missing orphans, especially Africans, Mally and Lace call upon Blandine for help. Their connection to Edward Drummand is formed through a budding romance between him and Blandine. Over the course of 400+ pages, Ms. Zimmerman drags out the “mystery” of the murdered orphans. There are several suspects, including Blandine who is accused of witchcraft, Aet Visser, whose moral compass doesn’t always point north, and the witika – more commonly known as a wendigo – a cannibalistic Native American demon that infects its victims with a pathological desire to consume human flesh. The biggest problem is that the reader knows the identity of the killer halfway through the book. The rest is filler. The Orphanmaster could have been 200 pages shorter without losing anything. Instead, Ms. Zimmerman overloads the reader with inconsequential and occasionally annoying historical details while neglecting frivolous matters such as pacing or character development. Does the audience really need to know that “groot kamer” is the Dutch phrase for “great room”? Ms. Zimmmerman seems to think we do because she hammers her audience with it at every opportunity. And if you were hoping for a multifaceted villain with complex motivations, you’ll be disappointed. Ms. Zimmerman interrupts a scene that should have ramped up the tension for her novel’s climax to treat the reader to a page-and-a-half of info dump to cover her killer’s backstory. 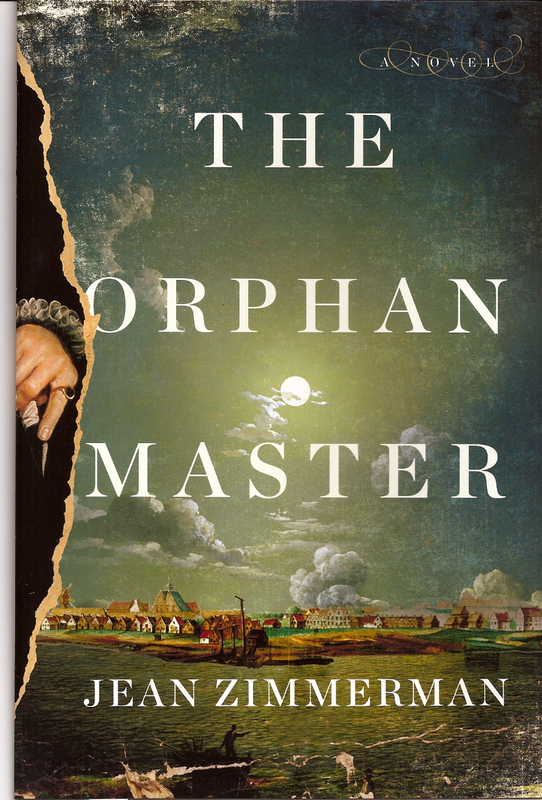 Overall, The Orphanmaster reads more like a dry history book than the “gripping historical thriller” it claims to be. Unless you’re a history buff who enjoys novels laden with trivia, you may want to skip this book. 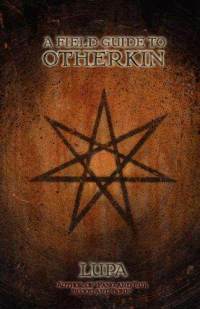 At best, check The Orphanmaster out from the library and save your money for Starbucks. You’ll need the caffeine. From the author of award-winning graphic novels comes a stunning and propulsive debut novel, blending cyberpunk adventure with the enchantment of Middle Eastern mythology. 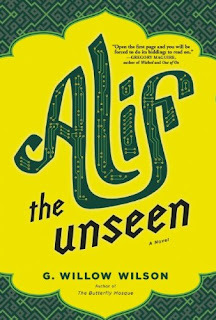 Alif the Unseen is a masterful debut novel, an enchanting, incredibly timely adventure tale worthy of Neil Gaiman. In an unnamed Middle Eastern security state, a young Arab-Indian hacker protects watched groups from surveillance and tries to stay out of trouble-until he falls in love with the wrong woman and unleashes a forbidden text thought to be written by the jinn. As the book opens, Alif 's computer has just been breached by the "Hand of God," as the hackers call the state's electronic security force, and he is scrambling to protect his clients-dissidents, outlaws, Islamists, and other vulnerable groups in autocratic states across the region. The aristocratic woman Alif loves has jilted him for a prince chosen by her parents, and when it turns out the fiancé is the Hand, and the state security forces come after Alif with guns drawn, he must go underground, trying all the while to fight back against a piece of code he wrote to protect his lover but which the Hand is using to create the most sophisticated state surveillance the world has ever known. When Alif discovers The Thousand and One Days,the secret book of the jinn, has fallen into his hands and may unleash a new level of information technology, the stakes are raised and Alif must struggle for life or death. With shades of Neal Stephenson, Philip Pullman, and The Thousand and One Nights, Wilson's Alif the Unseen is a tour de force that will enchant readers- a sophisticated melting pot of ideas, philosophy, religion, technology, and spirituality smuggled inside an irresistible page-turner. 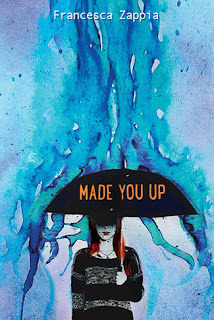 I received an electronic ARC of this book for free from NetGalley in exchange for an honest review. I requested Alif the Unseen by G. Willow Wilson because the publisher's description made it sound like an urban fantasy novel set in the Middle East, which is a fresh take on a genre I love. And it is. I struggled to write this review because, although there's nothing inherently wrong with this book, nevertheless, I didn't enjoy it and I can't quite place my finger on why. My dislike may have something to do with the heavy religious overtones that are at times central to the plot and at other times superfluous. To be fair, I detest religion in all its forms and, while I tried my best to set aside my aversion and enjoy Alif the Unseen on its own merits, I have no doubt my distaste colored my perception. However, there were other aspects of the story that didn't sit well with me. For example, the character referred to only as "the convert" is a white woman from the U.S. who has converted to Islam while studying abroad. She helps Alif determine that The Thousand and One Days is genuine. She also helps him access her university's computer system so Alif can try to contact his allies and escape the Hand. But the character feels like the author's self-insertion into the story and serves no real purpose beyond acting as a repository of info to be dumped on command and a mechanism the author uses to wax philosophical and quasi-political. Her later pregnancy is little more than a deus ex machina at that point in the plot line. The convert was not the only deus ex machina either. When Alif is captured, one of his former hacker buddies turns out to be someone with enough political clout to break him out of prison. And then there's the cat Alif let into his room to wait out a sandstorm who turns out to be a high-powered jinn and sends all the other jinn to Alif's rescue while he's battling the demons who work for the Hand. Then there was the romantic subplot that kicks off the whole novel. Without giving too many spoilers, Alif does not get the girl. Or, rather, he gets a girl but not the one he thought he wanted. And the transition from obsessive infatuation with Intisar, the woman Alif knows is out of his league from a socio-economic standpoint, to doting, transcendent love of Dina, the literal girl next door whom he initially brushed off as ignorant and prudish, was jarring and made no sense. I'm all for character development, but there was no reason for this particular development other than Alif realizing he'd been acting a fool while Dina took care of his selfish backside. Alif the Unseen might work for someone who is either more forgiving of heavy religious overtones in fiction or for someone who just wants a bit of an adventure and doesn't care about plot holes. Unfortunately, I am neither so I can only give this book two laurels. My advice is to wait until Alif the Unseen comes to a library near you and borrow it. If you like it and want to buy a copy, great. If not, you'll only have spent a couple of hours of your life on this book. Thanks to amnesia caused by an airplane accident, Rafael de Luca can't remember the fiery, dark-haired beauty who just decked him with a wicked right hook at his own party. But Bryony Morgan certainly remembers him. It's hard to forget the man who seduced and left her four months earlier. Especially when she's carrying his unborn child. Rafael isn't sure he believes Bryony's claim that he promised not to build a luxury hotel on the beachfront property she sold him. He's even less sure that he's the father of her child. But he can't deny that sparks fly whenever he gets close to her. What's a guy to do? Rafael is determined to return to the private island and retrace his steps until he regains his memory. I received Enticed By His Forgotten Lover by New York Times bestselling author Maya Banks through the Harlequin Ambassadors program. Enticed By His Forgotten Lover is part of the Pregnancy & Passion series from Harlequin Desire. This type of romance isn't my usual fare - I typically prefer Harlequin's paranormal line, Nocturne. But I couldn't resist a heroine like Bryony who, despite her pregnancy, doesn't pull punches (literally!) and isn't afraid to speak her mind. Unfortunately, I felt the character of Rafael was not sufficiently developed. Maya Banks makes a point of establishing Rafe as a ruthless and occasionally unscrupulous businessman. Yet she also goes out of her way to drive home the fact that he is acting completely out of character by accepting Bryony's claims based on a gut feeling rather than hard evidence. Even his friends think he's lost his mind. As much as I wanted to love this book, I had a hard time suspending my disbelief. I would have liked for Ms. Banks to create a stronger motivation for Rafe's decision to trust Bryony and return to the island with her. His interest felt more like idle curiosity than a driving need to fill in the missing parts of his memory. Love conquers all is great if it's earned, but I felt like Rafe and Bryony didn't have to work hard enough for their happy ending. Readers who like stories about estranged couples rekindling their relationships will probably enjoy Enticed By His Forgotten Lover. However, this book just wasn't for me. A legend has passed. 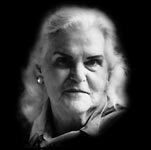 Anne McCafrey's Dragonriders of Pern series was one of my earliest experiences with science fiction and helped fuel my love of the genre. Blessed journey, Anne. You will be missed. 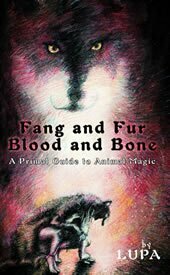 Natal felicitations to Lupa, my friend and author of A Field Guide to Otherkin, DIY Totemism, Skin Spirits, and Fang and Fur, Blood and Bone: A Primal Guide to Animal Magic. 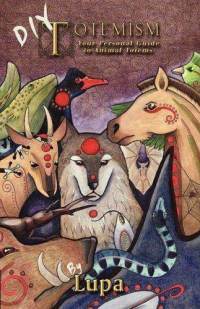 Lupa is an environmental activist who practices therioshamanism and reviews books at The Green Wolf. She is also an artist who creates ritual tools such as antler runes, fur pouches, and sacred jewelry. The photo above is just one example of the stunning wearable art available on her Etsy page. 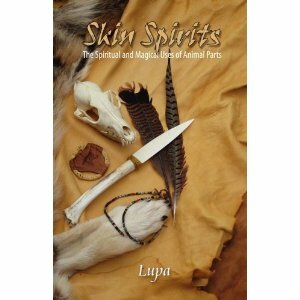 Lupa recently finished her fifth book, Neopagan Totemism.